When it comes to internet streaming, MP4 is the most commonly used format for storing videos and audios. The majority of the times when you download a file from the internet, it is in MP4 format. But what, if you only need the audio part of the downloaded file? Though MP4 format can also be used for storing the audio content, what’s the point of unnecessary occupying video space on your disk? Thus in such situations when you only need the audio part from MP4 file, the best solution is to convert it to an audio format like WMA. Windows Media Audio (WMA) by Microsoft is the series of audio codecs that can run on Windows Media Player. This audio data compression technology facilitates to have a good quality of sound with small file size. Read below to know about the best ways to convert MP4 to WMA online and through other means. Part 1. Why Convert MP4 to WMA Online? 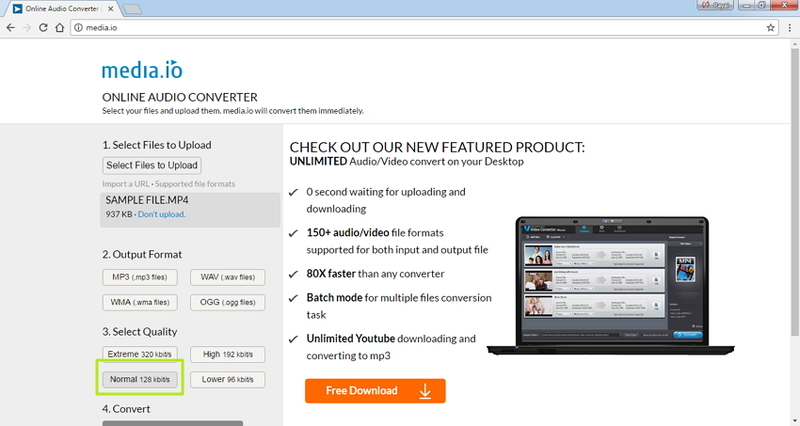 There are different types of converters, and tools used for converting MP4 to WMA format. MP4 to WMA Converter Online is the best solution for those who occasionally need to convert files and the number of files is also small. Almost all online converters are free to use and have simple to use interface so that no specialized knowledge is used. Above all, these converters do not need to be downloaded or installed and can be used directly. However, the converted files are either available for download from the software interface or are sent through email ID. Online converters are the best choice for converting MP4 to WMA, as the majority of these tools are available for free and perform a decent conversion task. There is no dearth of such online converters and Online UniConverter (originally Media.io) is one of the popular names in the list. This online audio converter allows converting a number of files to different audio formats including MP3, WAV, WMA, and OGG. The interface of the program is simple to use. Local file can be selected for conversion or its URL can also be added. The program also allows selecting the quality of the converted file. Once the process is complete, the converted file can be downloaded from the software interface itself. Step 1 Open http://media.io/ on your PC browser. Click “Select File to Upload” and add the desired MP4 file from the PC. Step 3 Select file quality from given options of Extreme, High, Normal, and Lower. Step 4 Finally click “Convert” process to start the process. Step 5 Download the converted WMA file from the software interface. Online MP4 to WMA Converter is undoubtedly a quick and simple solution, but it is apt only when you have a small number of files and there is no need for additional functions. In conditions when you need to convert a large number of files every now and then, the best alternative to MP4 to WMA Converter online is professional software like Wondershare UniConverter (originally Wondershare Video Converter Ultimate). This super fast desktop software is available for Windows as well as Mac system and allows file conversion between more than 1000 formats, including the latest ones like 4K and VR. With 30 times faster speed, the software also comes loaded with additional features like DVD toolkit, downloading videos from more than 10,000 sites, editing tools, media streaming, and others which make it the best in its category. Once downloaded and installed, UniConverter (originally Wondershare Video Converter Ultimate) is not dependent on Internet connection for conversion process. The software allows batch conversion of multiple files at a time which is not supported by online converters. 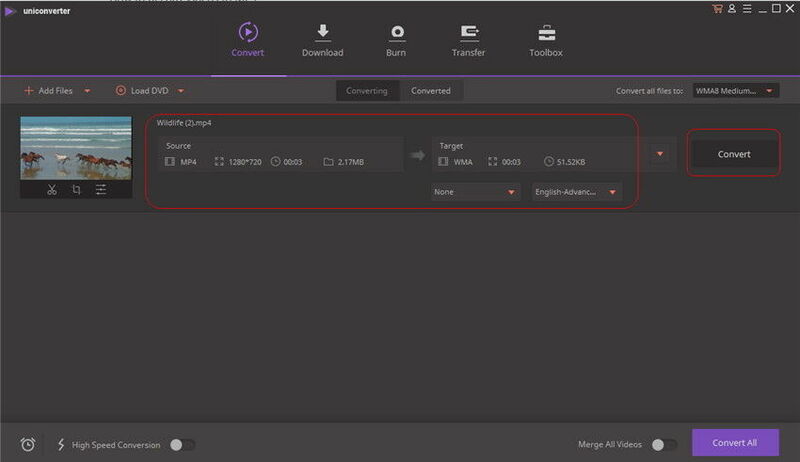 APEXTRANS technology of UniConverter (originally Wondershare Video Converter Ultimate) makes the conversion process 30 times faster than other software and tools. Original file quality is maintained after the conversion process. 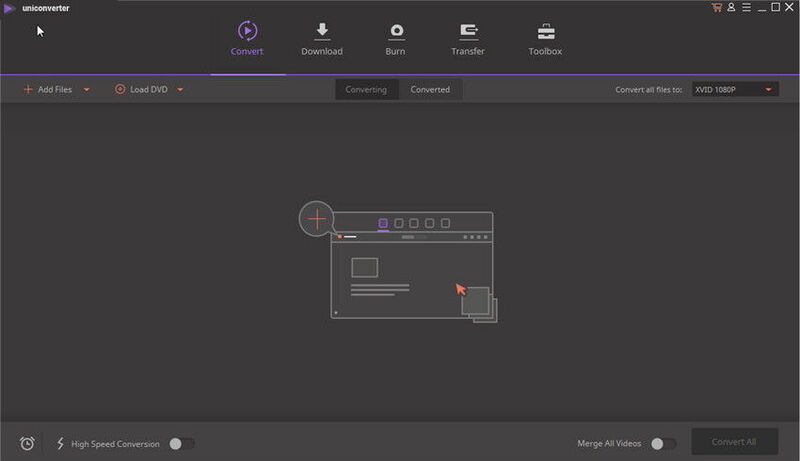 UniConverter (originally Wondershare Video Converter Ultimate) supports an array of additional features like editing, DVD burning, ripping, media streaming, and downloading videos from online sites. Step 1 Launch Wondershare UniConverter (originally Wondershare Video Converter Ultimate) and add MP4 file. Download, install and launch Wondershare UniConverter (originally Wondershare Video Converter Ultimate) software on your PC. On the main software interface, under the Converting tab, click Add Files and browse for desired MP4 file on your PC and add them to the converter. You can add multilple MP4 files if you need as the batch conversion is allowed. Step 2 Select WMA as the output format. Once the MP4 file is added, select WMA and its quality from the drop down menu beside Convert all files to: at the right-side of the software interface. Step 3 Convert MP4 files to WMA. Finally, click Convert button to start the MP4 to WMA process. 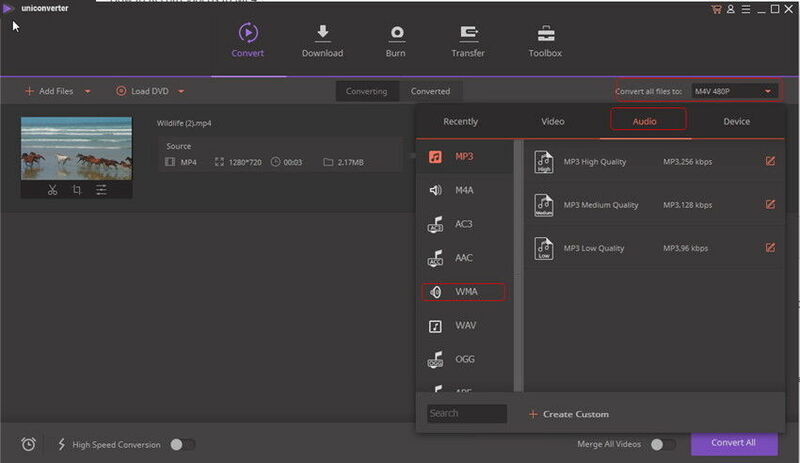 With the above 3 simple steps, your MP4 file will be quickly converted to WMA format. 1. Which would be better, Online MP4 to WMA Converter or Desktop MP4 to WMA Converter? Both Online MP4 to WMA Converter and Desktop MP4 to WMA Converter are decent options, having associated pros and cons. The table mentions the pros and cons of both the solutions so that you can make the choice that best suits your requirements. 2. What is WMA format? Developed by Microsoft, WMA (Windows Media Audio) is the series of audio codecs along with audio coding formats. In simple terms, it can be referred to as the file extension that is used with Windows Media Player. WMA audio data compression technology helps to have good quality audio files with the smaller size. There are four distinct codecs in WMA, and the format is conceived as the competitor to the popular MP3 and RealAudio codecs. 3. What is MP4 file format? MP4 (MPEG-4 Part 14) is a container file format that is capable of storing video, audio, images and subtitles in a single file. The file format is popular for streaming the content over the net, owing to its data compression algorithm that offers small file size with good quality, MP4 can be termed a universal format as it is compatible with almost all video and portable players. 4. Reasons for converting MP4 to WMA format? The most straightforward and the common reason for converting MP4 to WMA is the requirement of only the audio part of the MP4 file. There is no harm in keeping the audio files in MP4 format, but such files will occupy more space as there is a video as well as an audio content. In case if the number of files is small, you can keep them in MP4 format, but what is there is a huge collection of files. Keeping files in MP4 format in such situations will not only reserve space but may create hassles as well. Moreover, there are players which cannot run these MP4 files. In all such situations, the best solution is to convert MP4 to WMA format. 5. What happens to the file quality after the conversion? Depending upon the type of converter you are using, the file quality of the converted file is affected. The majority of the desktop software are professional in nature and thus there is no quality loss while converting the files. On the hand, while converting MP4 to WMA using online tools there are chances of quality loss as WMA is a lossy audio format. 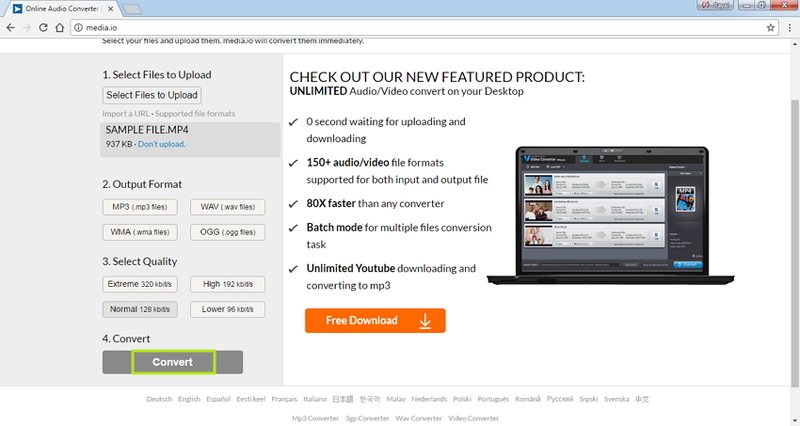 We've discussed how to convert MP4 to WMA with online converter and desktop software and both methods have pros and cons.Thus it can be concluded that desktop software like Wondershare UniConverter (originally Wondershare Video Converter Ultimate) is the best choice for no quality loss and fast conversion process. If you do not wish to go for the paid option, online converters can also be considered as your another choice.